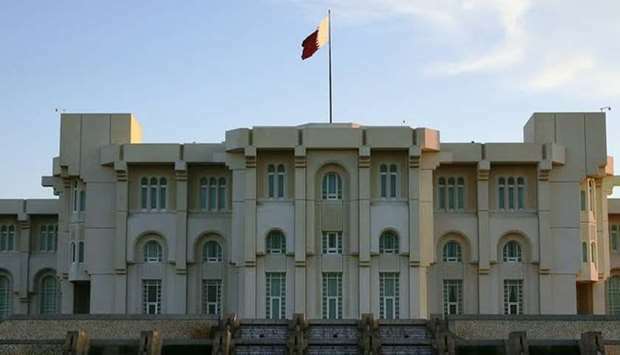 The weekly Cabinet meeting, chaired by HE the Prime Minister Sheikh Abdullah bin Nasser bin Khalifa al-Thani on Wednesday approved the Cabinet's draft decision to form a committee to regulate non-Qatari ownership and use of real estate and determine the committee's work system and remuneration. Following the meeting, which was held at the Amiri Diwan, HE Minister of Justice and Acting Minister of State for Cabinet Affairs Dr Issa Saad al-Jafali al-Nuaimi stated that the Ministry of Justice prepared the draft decision as part of completing the necessary procedures to activate the provisions of Law 16 of 2018 regulating non-Qatari ownership and use of real estate. 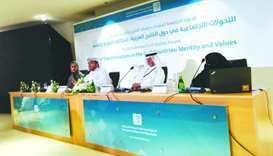 The draft included the formation of the committee headed by a representative of the Ministry of Justice with the membership of representatives of the authorities concerned. Under the provisions of Law No 16 of 2018, non-Qataris may own and use real estate in the areas in accordance with the conditions, controls, benefits and procedures, which shall be determined by a decision of the Council of Ministers upon the proposal of the Committee. The Cabinet also amended some provisions of the Cabinet's decision No 30 of 2017 setting up the Committee for Policies of Financing the State's projects, to include HE the Minister of Commerce and Industry as a member of the committee. The weekly meeting also approved the financial budget for the activities of the Qatar Information and Communication Technology Exhibition and Conference (QITCOM), scheduled to be held in Doha on October 29-30 next year. The Cabinet also approved the second executive programme in education, higher education and scientific research of the educational and scientific co-operation agreement between the governments of Qatar and Sudan for the academic years (2018-2019, 2019-2020, 2020-2021). It also approved the measures to endorse an agreement between the governments of Qatar and Paraguay on the cancellation of visa requirements for holders of diplomatic, official and private passports, and a memorandum of understanding for co-operation in tourism and business events between the governments of Qatar and Paraguay.